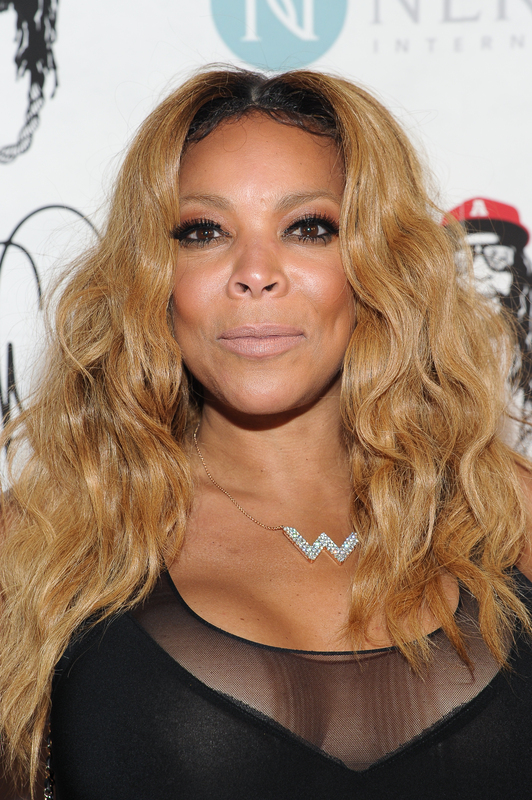 Wendy Williams is a woman of her word, as she just ate crow — and no, not in the figure-of-speech sort of way. Back in 2013 — when Kim Kardashian and Kanye West got engaged — Williams announced on her show that she would eat crow if they ever actually tied the knot and stayed married for more than 72 days (you can watch that segment of her show below for a trip down memory lane). Lo and behold, not only did Kim and Kanye exchange vows, but they spent four days perfecting their wedding photos on Instagram, for crying out loud. Williams, not one to forget about something, knew exactly what this meant for her: She would have to commence the sixth season of The Wendy Williams Show by literally eating crow. She probably wanted to eat her words instead. For the curious — no, she didn't eat a live crow, but she did chow down on a gourmet crow. Who knows? Perhaps this was her excuse to be culinarily adventurous! But was it good? Um...the pictures speak for themselves. She did not look pleased, and according to one of the tweets below, Williams was chewing for what seemed like an hour. So for all of you gourmands out there: It might be a better idea to say that you'll eat your hat. So now, let us revisit this Williams Feast of Crows. Kim Kardashian: Inspiring diets consisting of crows. Eh, this ain't about Kim — this is about Williams, a comic force to be reckoned with.